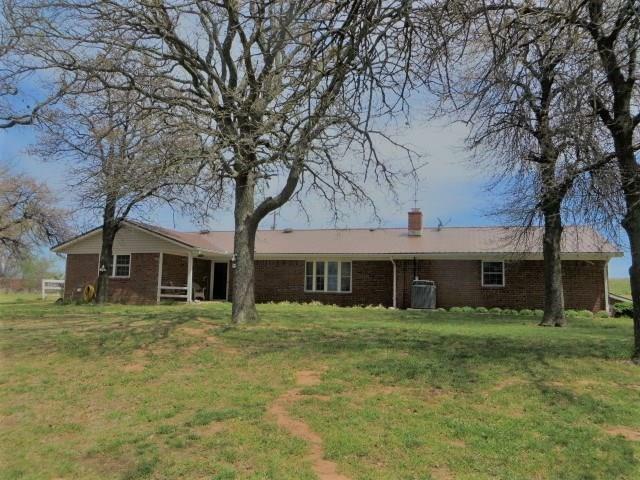 Country Living offering 11.09 Acres with a 20 x 30 barn/shop and a 10 x 10 shed; This 3 bedroom 2 bath is well maintained with recently updated replacement windows and metal roof. The cozy living room boast a wood burning fireplace for those cold winters; The spacious kitchen offers plenty of cabinet space and large breakfast bar. This home also includes a storm cellar that is accessible from inside the house, an office and sun room! The master bedroom has 3 closets and a full bath. The 11.09 acres offers plenty of space for horses/livestock. Call today to schedule your appointment! ***The court house records show the property is in Cement.....but this property is much closer to Chickasha! !